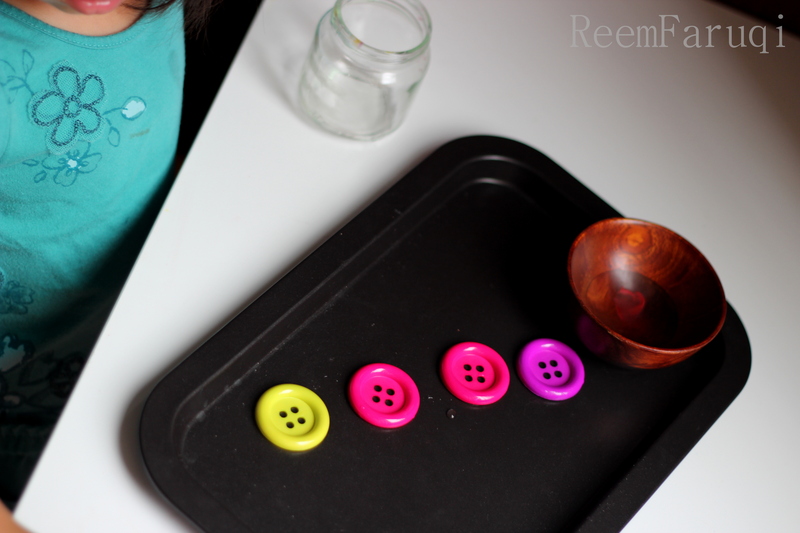 Another Montessori activity I like doing with Z is buttons. 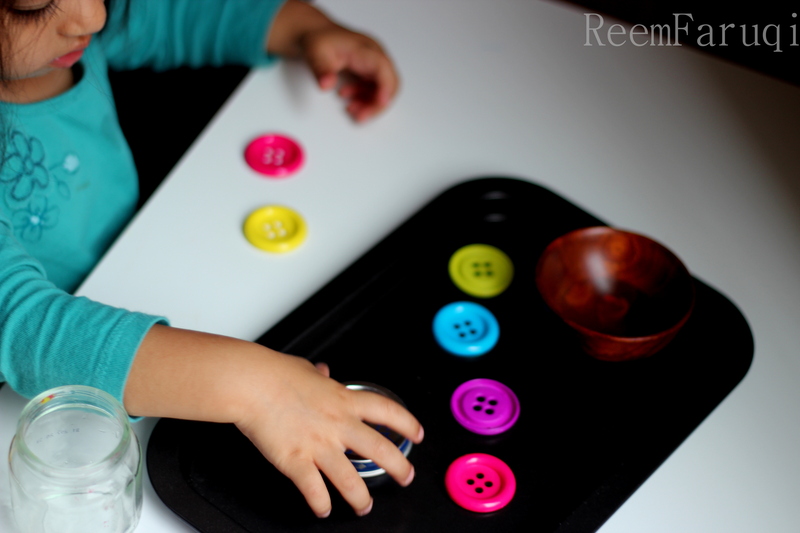 Big colorful buttons are great for sorting, handling, counting, and looking at their shapes. I only have circular ones for now, but will eventually try to expand our collection. 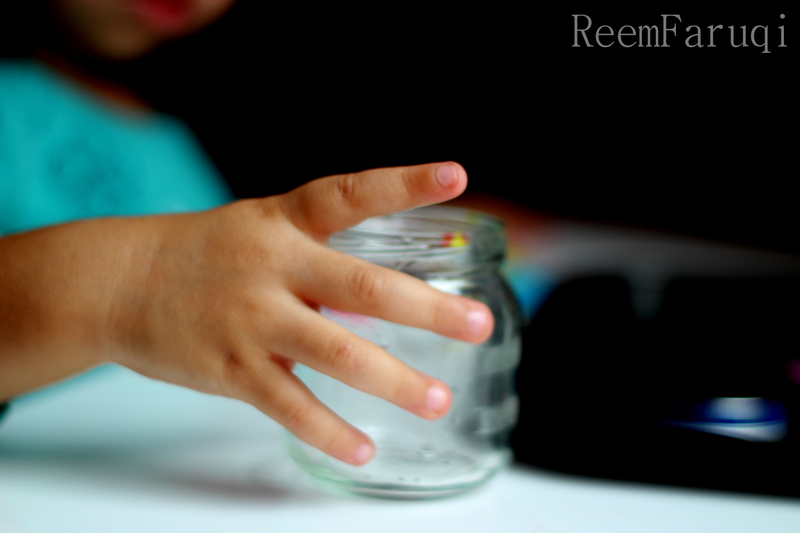 Also, it’s a good idea to keep an eye out on your toddler while doing this so you can instruct them, and also make sure they treat the buttons nicely. When I wasn’t looking, Z gleefully threw the buttons over the deck balcony – sigh. Also important is to make sure to put them back the way she got them, lid and all. 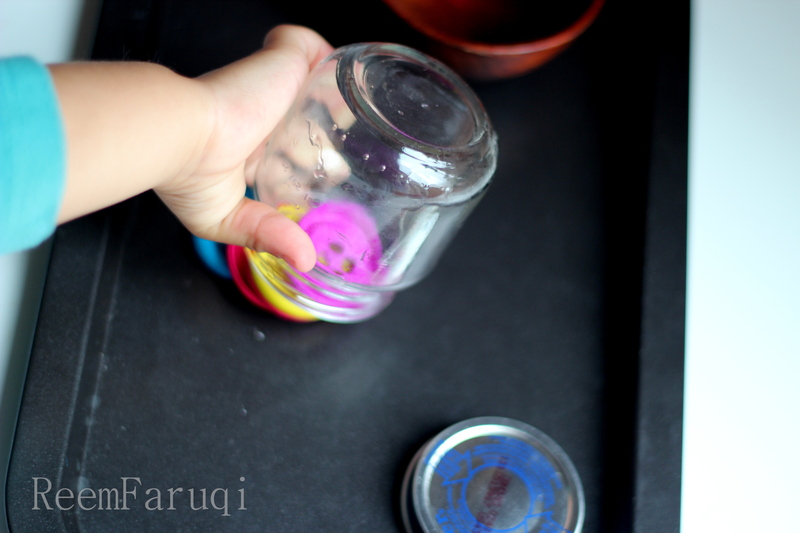 Gerber baby jars are really useful for capping these buttons and teaches Z to hold the little jar correctly. 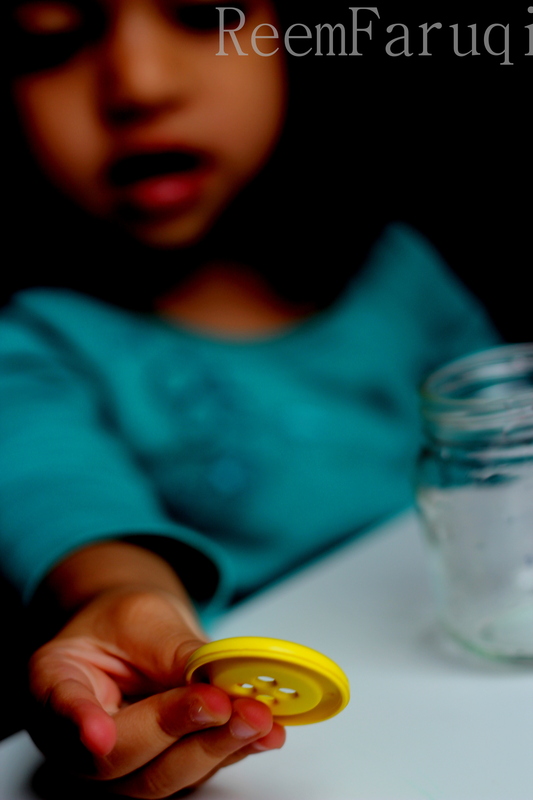 In the beginning, she would scatter buttons and jar all over the place – now she is a little more controlled with her buttons. Progress! 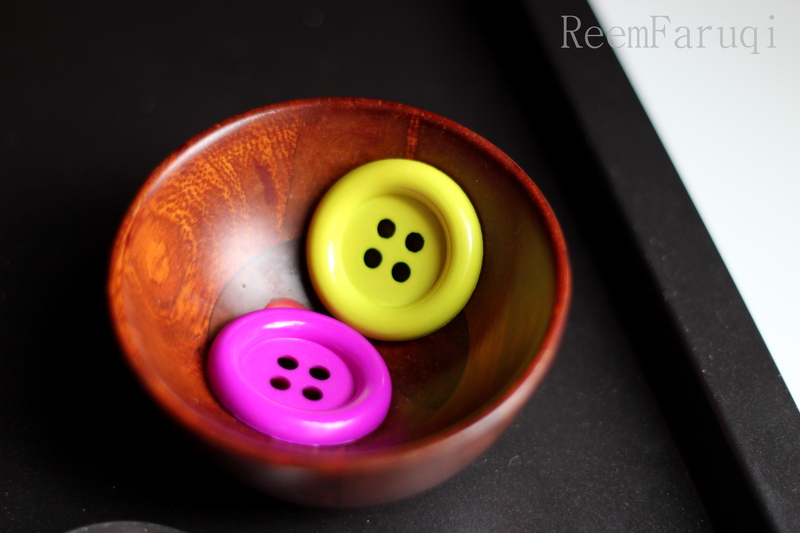 Anyways, here are a few photos of the buttons, they look like inedible candy! 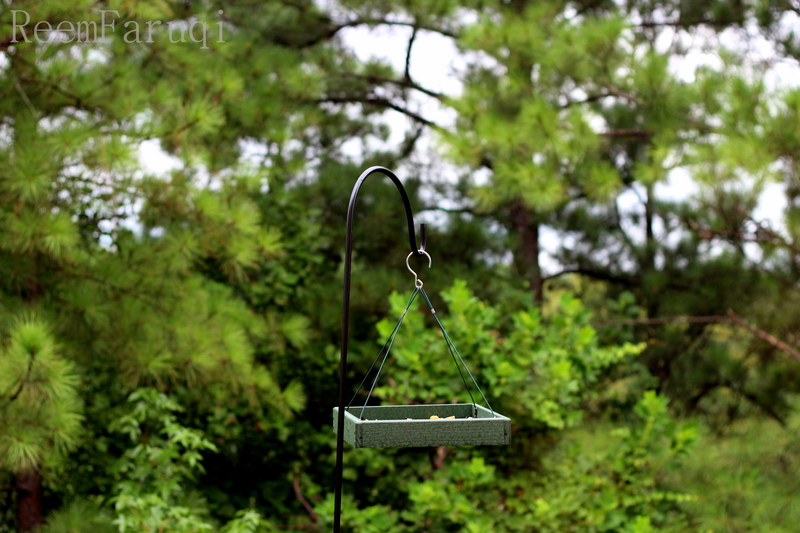 I moved Z’s little table by the window so she can enjoy the big windows and the bird feeder below. 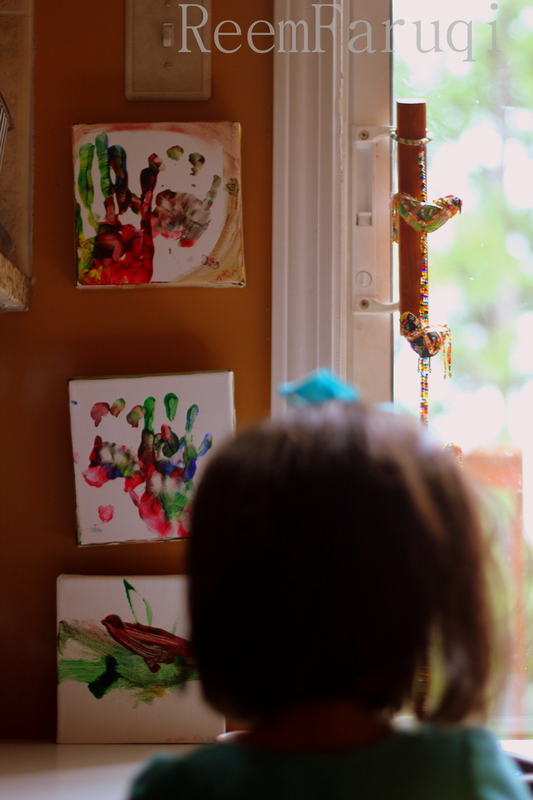 I also love Z’s art canvases! One of them looks like she’s painted a red bird, it was just a fluke – she painted it another way, but when I turned it over, the canvas looks like a bird on a nest! Wow, it looks like your house is just filled with beautiful creations! What is that colourful beaded rope hanging on the window? It’s gorgeous! It’s Pakistani handiworks that you can buy in Pakistan :). Thanks for the compliments too!